There was a different red, white, and blue flag waving on Friday at Casablanca in Double Bay. ABrand celebrated what they do best - denim, something that has long been associated with Americana. Casablanca was decked out in American Flags, while the guests snacked on buffalo wings and mini cheeseburgers. Don't forget the American classic, Coors, to wash it all down. 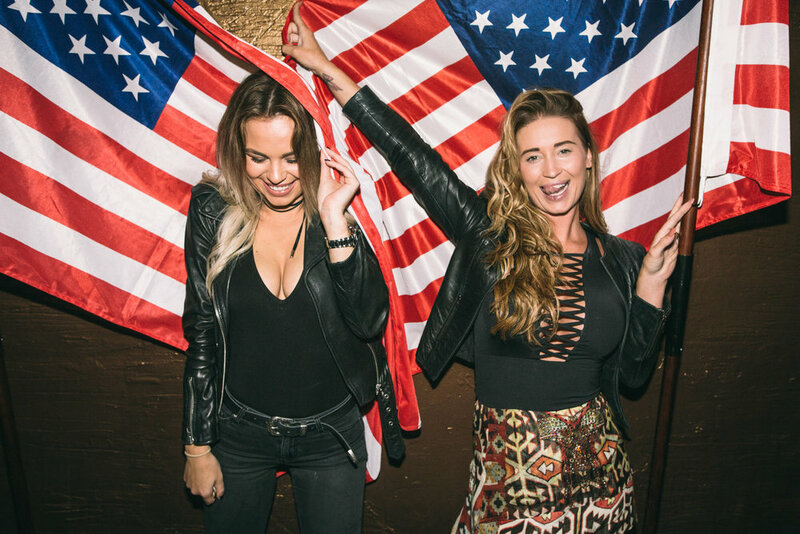 A photo booth provided the partygoers with the perfect chance to show their ABrand American spirit, flag sunnies, red white and blue hats, and a flag back drop produced some epic shots that would make even the most patriotic American proud.